Drive back to the island port in a jeep (for bigger groups – old Soviet style truck). PRICE INCLUDES: pick-up and drop off to your hotel in Tallinn, guided hiking, truck/jeep tax, local lunch, ferry tickets, use of real Estonian sauna. Prangli island is located close to capital of Estonia. The island has been inhabited for more than 600 years. Prangli is known for strong fishing and seal-hunting traditions, special food and its own dialect, friendly locals and diverse nature. First, the transfer takes you to Viimsi peninsula and Leppneeme harbour, from where we will take a ferry to the island (1 hour). Wooden cabin welcomes you warmly with a hot sauna. You have time to relax, enjoy the view on the sea and take some time off from your everyday life. An authentic local food is prepared for you. You’ll have plenty of time to enjoy your lunch. After your relaxing time in the wooden cabin, an old Soviet style truck picks you up and takes you back to the port of Prangli. Ride on a Soviet truck is truly an experience you get only on a small Estonian island. 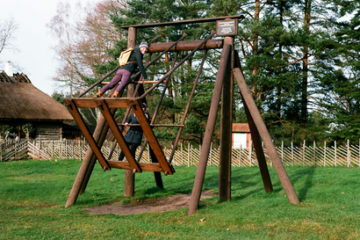 For groups there are plenty of additional incentive and active programs available. 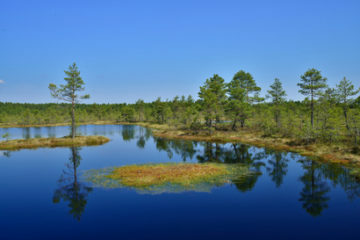 Enjoy the amazing landscape provided by Estonia's bogs and warm up afterwards in a traditional sauna. Get back to nature with a visit to Estonia’s premier National Park, only a short ride from Tallinn.